Arab migration from the territories of the modern-day states of Syria, Lebanon, Jordan, Israel and Palestine to the Caribbean coast of Colombia and Venezuela, as well as to the island of Curacão (Dutch Antilles), already began in Ottoman times in the 1880s. 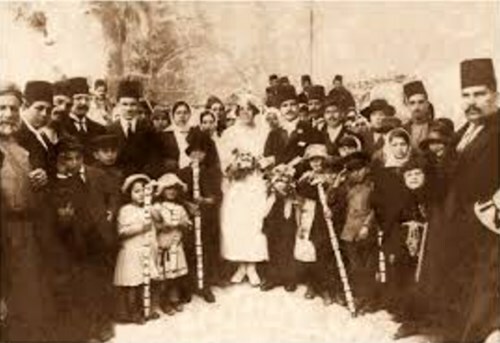 Although taking place on a much smaller scale than migration to the USA, Brazil or Argentina, the Syro-Lebanese migration had in some instances a profound impact on their new host countries. The newcomers mostly came to settle in important port towns and coastal trading centers, where they initially engaged in small-scale peddling. Yet, due to their good sense of business, they often made a fortune becoming whole-sale import-export traders, fabric and plantation owners and the like. The prosperous Syro-Lebanese community played a major part in the rise of the city of Barranquilla to become Colombia’s most important port in the first quarter of the 20th century. Whereas Venezuela witnessed also an important intermediary wave of Syro-Lebanese immigration (post-1947 to early 1970s), two major immigration waves can be clearly discerned in Colombia (and to a lesser degree in Curacão), with a much smaller amount of arrivals in between them.